We would like to introduce our popular “Iki Autumn Festival” in this year from September 20 to 22. The moon-themed renovated banquet room, Jour, was designed by Hiroto Rakusho and will give you an Amazing Experience this autumn. This year’s event will be bigger than ever. 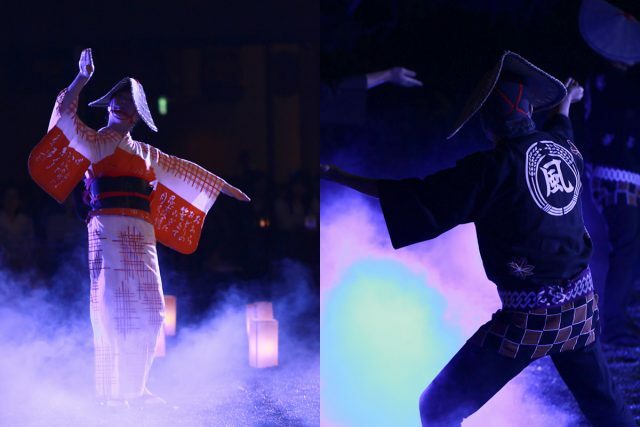 The first and second day’s theme will be Owara-kaze-no-bon, and the third day’s theme will be Ozashiki-asobi, which is a party with entertainment by geisha and hokan. Owara kaze no bon is a festival praying for protection against wind damage and for an abundant autumn harvest. This traditional folk event is held every September. It corresponds to the 210th day from the first day of spring according to the traditional Japanese calendar and is considered a day often beset by calamities when farmers are frequently struck by typhoons. Although there are many explanations about its origins, it is generally believed that the Bon ritual of paying homage to ancestors merged with a festival praying for a rich harvest. This festival features a singing of “Ecchu Owara Bushi,” which is a folk song handed down in Yatsuo Town, Toyama Prefecture. Accompaniment is provided by shamisen (three-stringed Japanese musical instruments), smaller Japanese stringed instruments and drums. The women all wear the same type of yukata (cotton summer kimono) with black sashes and hats made by braided straw, while the men wear short jackets and amigasa hats. It used to be a local folk festival for the inhabitants of the town. However, word about the unique melancholic melodies and mysterious dance has spread, and in recent years it has been drawing large numbers of spectators from all over the country. Now, you can enjoy this festival in our Iki Autumn Festival this year. 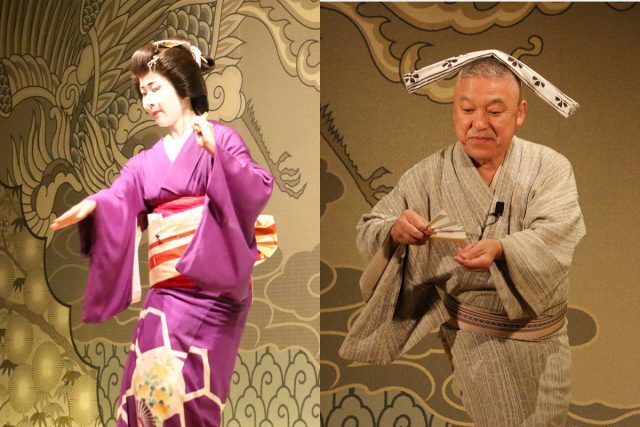 In a past age, people of the upper classes use to enjoy private parties called ozashiki-asobi. They eould visit a kind of tea house to eat, drink, and be entertained by geisha (female professional entertainers) and hokan (male professional who indulged hosts and guests). There was drinking games, dancing, and music performed by the geisha on various musical instruments, along with cuisine and types of alcohol. 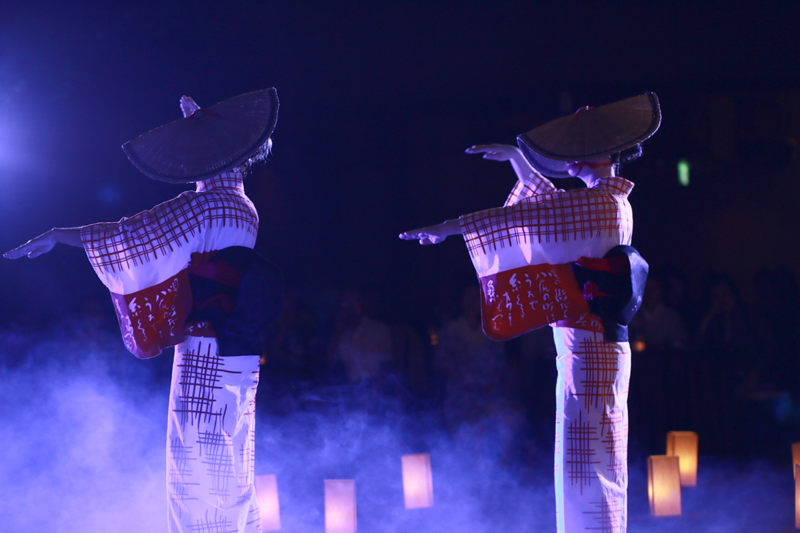 Experience the ozashiki asobi on the third day of our Iki autumn festival. 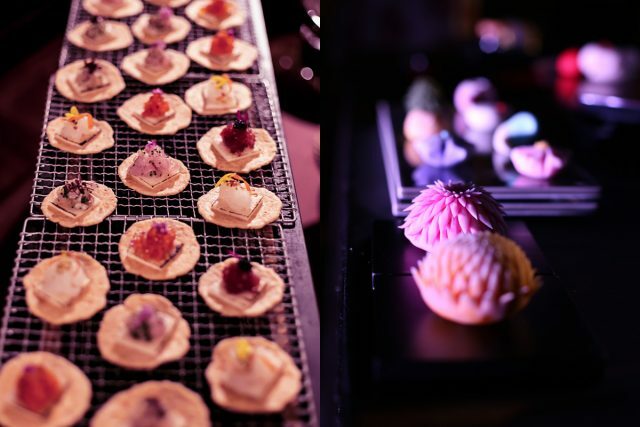 The fee include buffet and beer, wine, sake and soft drinks.